Our current Star Wars-RPG party. 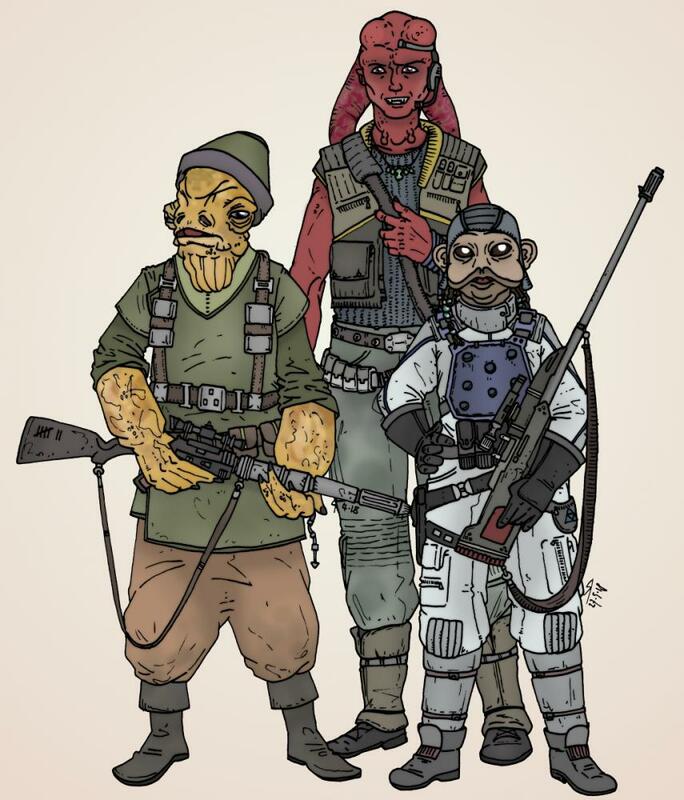 A group of bounty hunters, called the Krakana Trio. Until now we played five small adventures including four bounty contracts. Nice! There's a lot of cool detail in these characters.